Battery operated uplights add a touch of elegance to any event. Wonderful effect when used with our fabric columns, fabric canopy or pipe and drape. Lithium batteries are long lasting and lights produce a 100' throw of light. 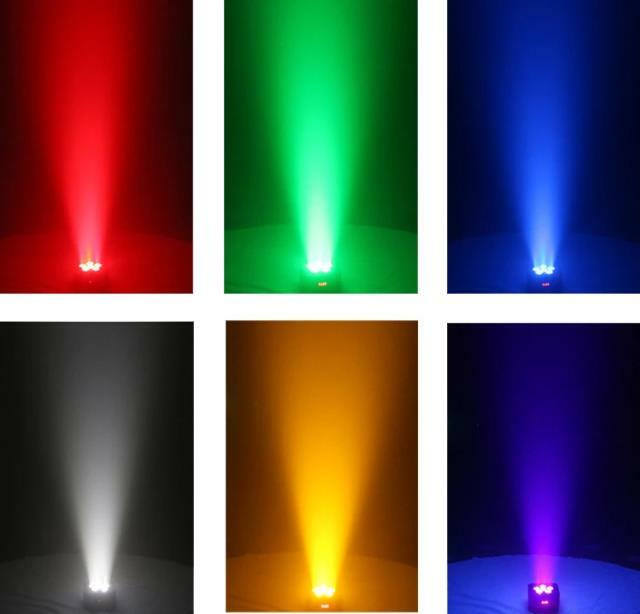 Almost any color can be achieved with these lights. For over the counter rental, lights come fully charged and pre-set to the desired color. * Please call us with any questions you may have about our battery operated led uplight rentals/sales in State College, serving Central Pennsylvania.